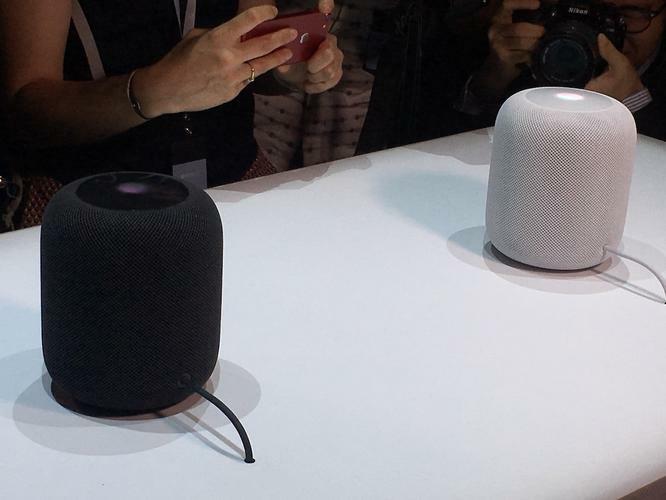 After missing the critical holiday shopping season, Apple has jumped into the voice speaker wars with the HomePod smart speaker, a device that will use its Siri voice assistant and compete against offerings from Amazon.com and Google. Apple said on 23 January it will start taking online orders for its HomePod smart speaker on Friday in Australia, the United States and the United Kingdom, just over a month later than initially planned. The US$349 voice-controlled speaker, introduced in June and originally scheduled for a December release, can make music suggestions and adjust home temperatures. The speaker also will be able to send messages and play news updates, Apple said. Analysts have debated the impact of the shipping delay on the HomePod's eventual success. Apple has forecast between US$84 billion and US$87 billion in revenue for the holiday - mostly driven by sales of its US$999 iPhone X - so it is unlikely that missing a few weeks of sales of the HomePod will affect its financial results, Bob O'Donnell, founder of Technalysis Research, said in November. Apple is working to keep its Siri voice assistant relevant in the face of competition from Amazon's Alexa, which is set to begin shipping in Australia from early February, and Alphabet's Google Assistant, both of which are featured on smart speakers from those companies. Trip Miller, managing partner at Gullane Capital and an Apple investor, said he's concerned that Apple has focused the HomePod too narrowly on playing music with high quality sound. Rivals speakers like the Amazon Echo can be used for a wider variety of tasks, like ordering a pizza or summoning a car from ride-hailing services.